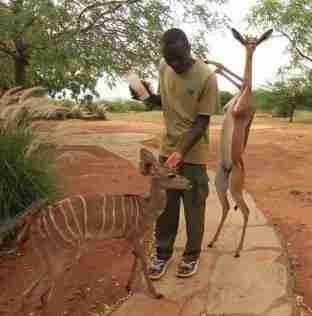 Nuk, an orphaned gerenuk, was rescued in 2013 by the David Sheldrick Wildlife Trust (DSWT) in Kenya, and was one of the most memorable characters to come through the orphanage. 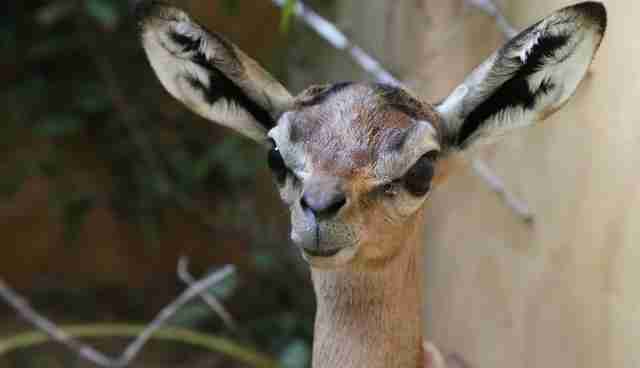 Not only does Nuk have the distinctive ears and beautiful long eyelashes that distinguish gerenuks from other kinds of antelope, but Nuk, like all gerenuks, also has the amazing ability to go his whole life without drinking water. Nuk and his kin quench their thirst by eating a lot of leaves. The moisture in plants is enough for them to stay hydrated. They've even evolved long giraffe-like necks and strong hind legs so that they can reach foliage at many heights - up to almost seven feet off the ground. 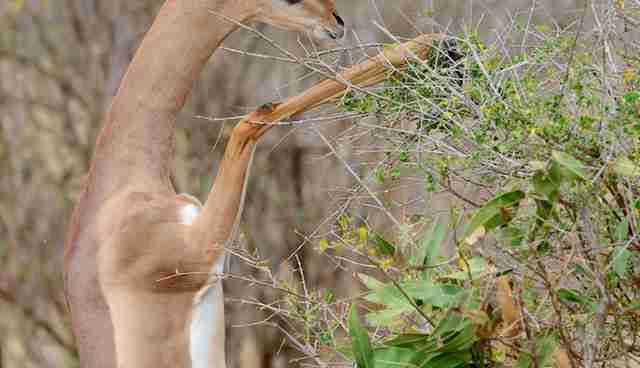 Also, Nuk is graced with those pretty eyelashes, which actually have an important function - they help gerenuk's navigate thorny undergrowth in pursuit of juicy leaves without getting scratched. Since his rescue, Nuk has proven that he's got the skills needed to make it on his own. Once old enough, Nuk was released back into the wild, where he joined a herd of impalas. "Nuk continues to live close to the Kaluku field headquarters, returning back to visit from time to time," Amie Alden, of DSWT, told The Dodo. 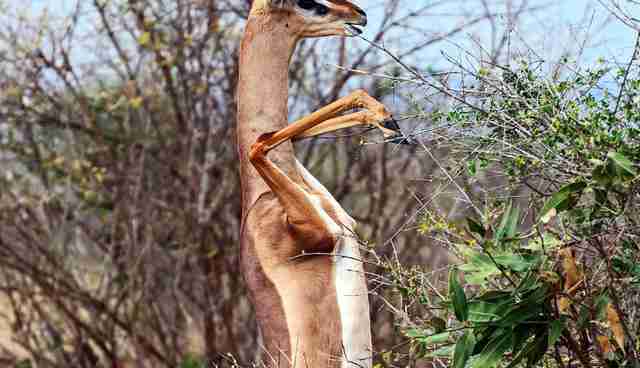 People at DSWT have been hoping for years that Nuk will find a female gerenuk, start a family of his own and pass down his fine, alien-like attributes, but he seems to be taking his sweet time. "He is still on the lookout for a wife," Alden said. 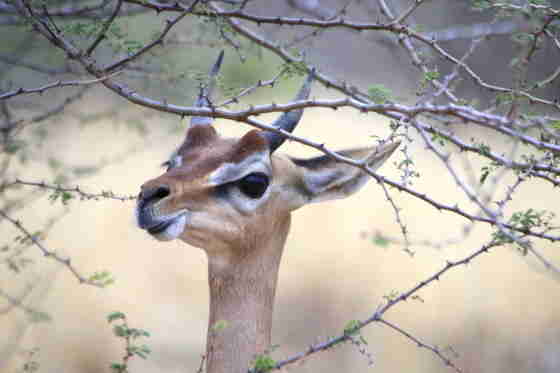 With only 95,000 gerenuks left in the world, and habitat loss threatening their survival, every quirky gerenuk counts.